*** Mini Laptop with ALC Technicians Tool Kit software pre-installed is available! The ALC line of automated lighting products was previously owned by OnQ Legrand. Since 2009 Stewart Electronics has owned and manufactured this line of products in the USA. If you have an ALC lighting system or if you are a contractor supporting this product line you NEED this tool kit! Connect it at the branch interface where all the communications cabling (the Polling Loop) begins and test all ALC products at the same time. Or, take it to the location of each wall switch and connect it to a single switch at a time (by un-wiring only the two wire polling loop). Without this tool kit troubleshooting can takes countless hours of guess work! 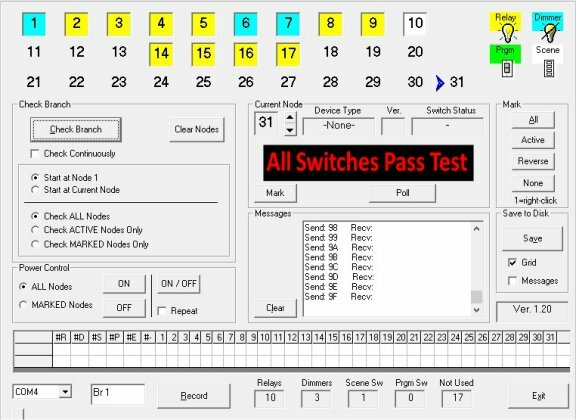 Use this kit for testing one ALC switch at a time or for testing an entire branch of up to 124 switches ALL AT ONCE. 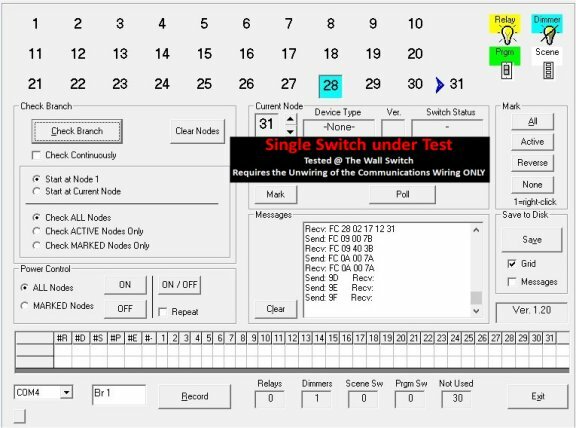 Another version is available that can test smaller systems of 31 switches at the same time. Training is available On-Sight or in our Automated Classroom in South Carolina. THE NEED: Often we have customers return numerous ALC switches for repair. However, we typically only find ONE of their ALC switches to actually be bad. Sadly, ALC communications wiring (the polling loop) is often ran in a Daisy Chain fashion instead of a Home Run pattern. With daisy chain wiring, should one switch fail it can shut down communications with many if not all of the remaining ALC switches on that cable run. 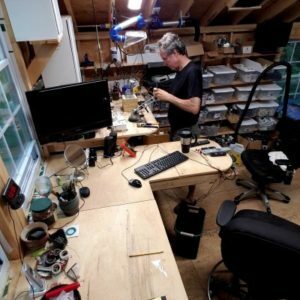 The end result is that you must often un-wire each switch one at a time and ship them back for us to evaluate. CAUTION: Connecting to an electrical circuit should be done by a licensed electrical contractor. 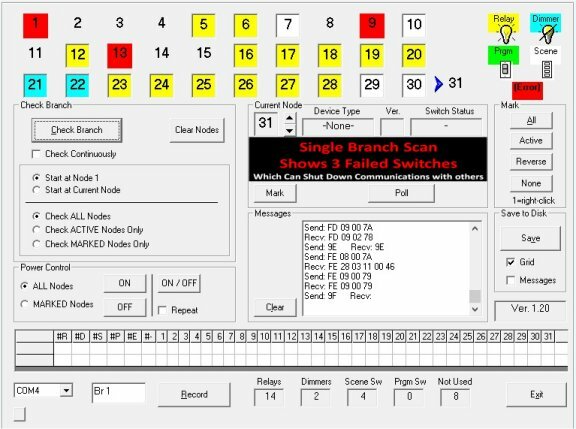 Start with connecting all of the branch cables leaving the lighting controller and test the entire branch circuit all at once. 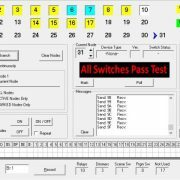 Should numerous switches not show up on this test, move the tester to each wall switch and test each one by itself. This tester is portable so that you can take it to each wall switch. Turn off the breaker, pull the switch out of the box just far enough to get to the ALC polling loop wire (2 conductors). Cut the ALC Polling loop loose (remember how to put it back later). Turn the AC breaker back on. Attach the tester to these wires and test just this one switch. If it fails, do not connect it back to the polling loop. 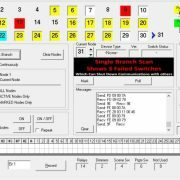 Instead reconnect all polling loop wires and retest from the branch circuit. 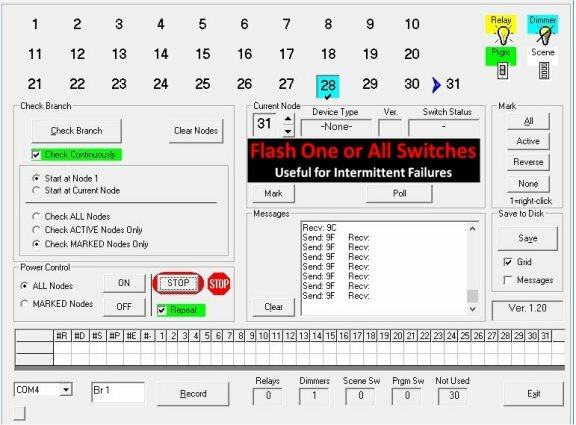 If there are still failures move the tester to the next wall switch and repeat the procedure. Some versions come pre-installed on Mini Windows PC. 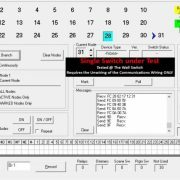 Identifies working and failed switches. 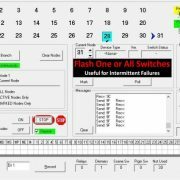 Control each switch by turning on / off, bright / dim or flash on and off.